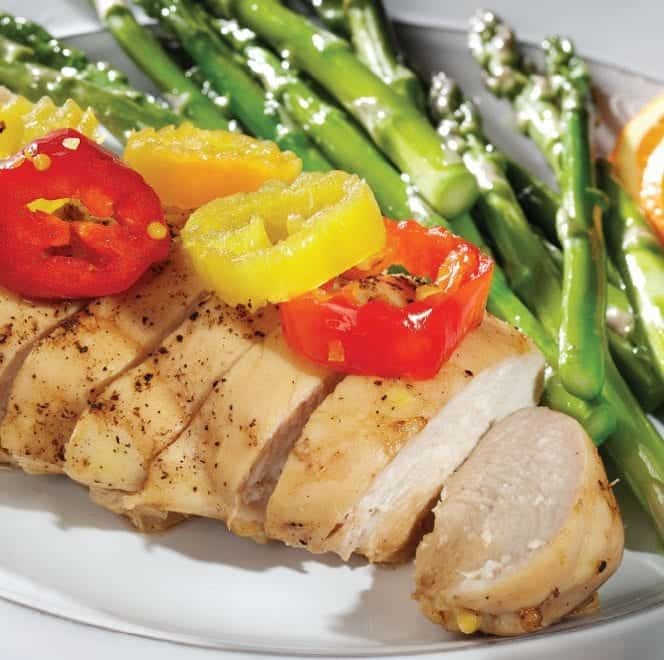 Mix the first four ingredients above into a marinade, and marinate the chicken breasts overnight in your refrigerator. Bake at 350 degrees for approximately 40 minutes, or until the chicken is lightly browned. I love citrus chicken! This is a great variation to another one of Robin’s creations.